Trusted has been busy in Saskatoon meeting with potential Trusted businesses and we have lots going through the verification process as we speak, so keep checking in to see who is new! In Regina we are taking our time to check out the good businesses , to ensure we are only approaching the businesses that are already doing business at the level that Trusted demands..we don't like to waste anyones time meeting with businesses that won't pass the required standards. Did you know we also fully check out our banner advertisers too? As you know Trusted doesn't have categories for every kind of business...we chose the 40 most needed categories to keep it simple, but we will happily promote any business in other industries that are doing a wonderful job...as long as they pass the same verification procedure as our other Trusted businesses of course...and we only allow 1 in each industry to make it more user friendly! Here is some history of the company. In 2002 Jason and Tammie fulfilled a dream of owning a Fitness and Health Centre. Being an owner operated business allowed Jason and Tammie to work hands on affecting the success of the business and ensured that a quality experience was delivered on an ongoing basis. The goal was to offer a fitness center with a welcoming, fun, and safe environment that all ages could enjoy. 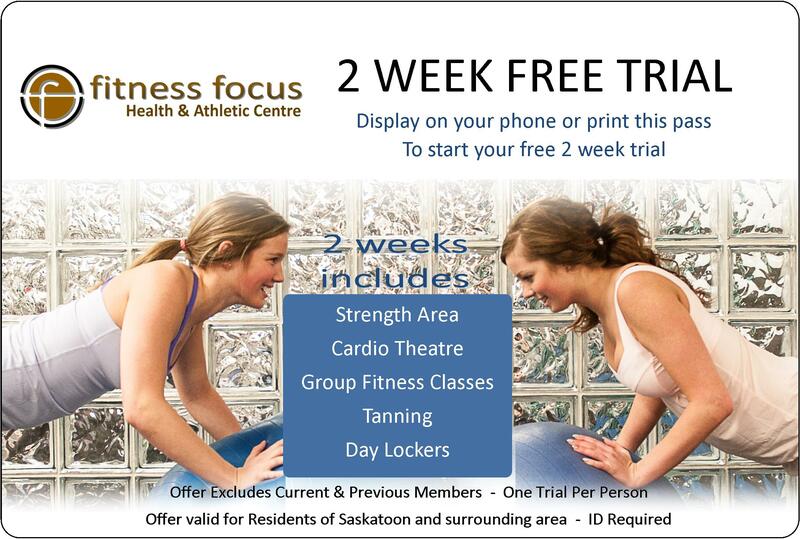 Fitness Focus is a forerunner in the fitness industry in Saskatoon, and with the ever changing fitness demands of new and improved classes, training, and nutrition, Fitness Focus prides itself on maintaining quality. Upon Jason's passing in 2010 Tammie continues to keep the excellence and the foresight and drive that was established from the beginning for the dream Jason and Tammie foresaw in creating a successful family run business. From the moment you walk in the doors and are greeted by the friendly staff, you can feel the relaxed and calm environment. The fitness centre is constantly ensuring that equipment and cardio facilities are up to-date and easily accessed to maximize your workout. If you are not a member, and are interested in Fitness Focus, feel free to stop by anytime and check out the fitness centre. They are always looking for ways to improve services to ensure that they continue to assist you in reaching your fitness goals! Click here to access a 2 week pass that you can print off ..then you can go try it out yourself for FREE! 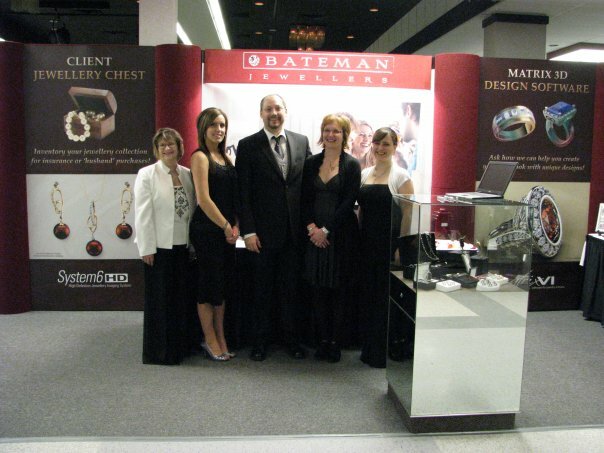 Bateman Jewellers are Trusted Saskatoons Trusted Jewellers , and did you know that they are The oldest independent jewellery store in Saskatoon? Superior jewellery, watches and accessories in a relaxed and respectful atmosphere. 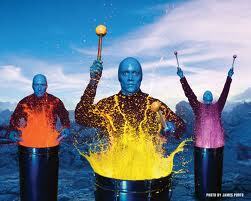 They always offer personal, individualized service, expertise and information sharing. Check out their website here for a full list of their products and services ...and have a look at their specials here for a bargain! As well as implementing industry best practices Batemans continually upgrade their skills and knowledge. All employees take the Jewellery Education Training System (JETS) program to enhance their expertise and skills and they continue to evolve as a progressive and forward-looking provider of quality jewellery products, accessories and giftware that will meet their clients changing needs. Something you may not know is that at Batemans you can create your own individual piece of jewellery. Whether it is a family emblem, your childs artwork, a company logo or something to showcase your artistic ability, their 3D jewellery design software and milling machine allows them to recreate your design and produce a one-of-a-kind priceless possession! Batemans strongly believe in giving back to the community, and proudly support such things as Care and Share, United Way, local teams and organizations, and as business grows their community support list grows. It is obvious that the relationship with their clients is very important to them, and Trusted is sure you have heard Cam say in his well known radio ads " Your jewellery is a lifetime investment; Buy it from a lifetime friend. " ..Trusted can attest to the fact that they really DO mean it, and we are proud to have them on board as our Trusted Jeweller! Kreepy Kritterz are Saskatoons #1 Pest Control Professionals, and they are Saskatoons ONLY Trusted Pest Control companies. They specialize in dealing with the kreepy crawlies so you and I don't have to! If the thought of bed bugs or rodents makes you squeemish then you should note down the name David Wilson! He is the sole owner/operator of Kreepy Kritterz Pest Control and he started the company in January of 2009. He is licensed and certified by the Government of Saskatchewan, and after being involved in the Pest Control industry for some time before he decided to venture out on his own. He believed that operating his own business has allowed him to provide an outstanding quality of service, satisfaction, and peace of mind to his clients health and safety whether it is in your home or small business. Being locally owned and operated, the independence brings a very unique and personal quality of customer service, respect, trust and confidentiality.He obtained licenses in pest programs through Siast, and will continue to learn and grow along with all the latest techniques and technology in the industry . Trusted also appeared in this weekends Sunday Sun, there was an interview with the founder Sara Wheelwright as she spoke about how Trusted came about and what is involved in becoming a Trusted business. We would like to thank Tom for a great article ..however there were a few minor mistakes that we would like to clarify...Trusted or Trusted businesses do not contribute toward the Workers Compensation Board...Trusted does however check to see if companies have workers compensation INSURANCE ( this is to safeguard clients....and is there to make sure if an employee of a firm who is doing work for you on your property sustains an injury..that YOU the client isn't liable) , also we check to see if a business has a history/record of bankrupcy..if they do we do not allow them on the site. Also we only offer 3 Trusted businesses / category because if we offer too many then it becomes tricky to chose one trusted business from the other and we are here to save people time, money and stress...we do the research so that they don't have to ! Truly Trusted is THE Smart & Simple Choice! Comments: Thank you SO much for making this web site. My co-worker and I were just talking last week of how a web site like this needs to be created. Again, we are single women who have been ripped off enough. Thanks for providing this great service! Your welcome Jannay ..glad to be of help! IMPORTANT update We are changing some categories around over the next week on the sites ..as we have had requests from businesses to accomodate their industry..so some catgories are expanding, some changing and Trusted took the decision to REMOVE completely the CELL PHONE category..we strongly believe that the Cell phone industry in canada is fundementally flawed and we don't believe that the Trusted Guarantees could be upheld by any of the current providers available ( not to say the individual Stores can't offer outstanding service..we are talking about things like billing and service centres that are not locally accountable ) ....we will not provide businesses to you unless they can be Trusted....we are not a CASH for ENDORSEMENT company at all, and never will be!